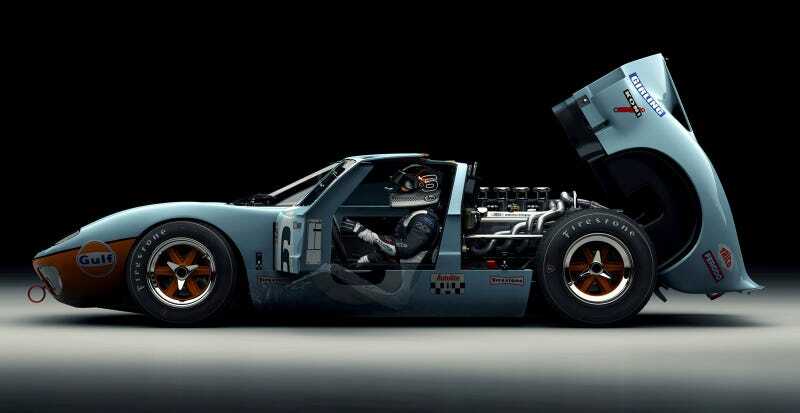 Digital artist Luis Nieves rendered this gorgeous Ford GT40 in Gulf Oil livery complete with a digitally enhanced driver using multiple programs including ZBrush. "I wanted to push myself on how far I could go, so I decided to build a piece capable to make an art statement; I didn't want to feel that it was just another 3D model," said Nieves. Can someone at Turn10 or Polyphony Digital please give this guy a job?